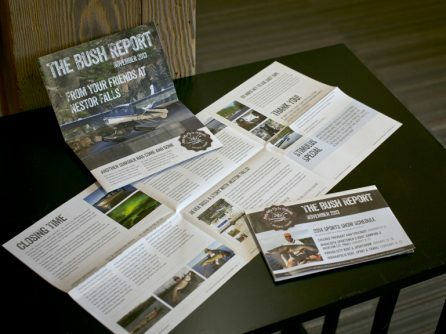 Keep an eye out for our annual Bush Report in your mailbox! At the end of each season, we take some time to recap this year’s memories. Not on our mailing list? No worries! Continue checking back on our blog for some 2013 Bush Report special stories. 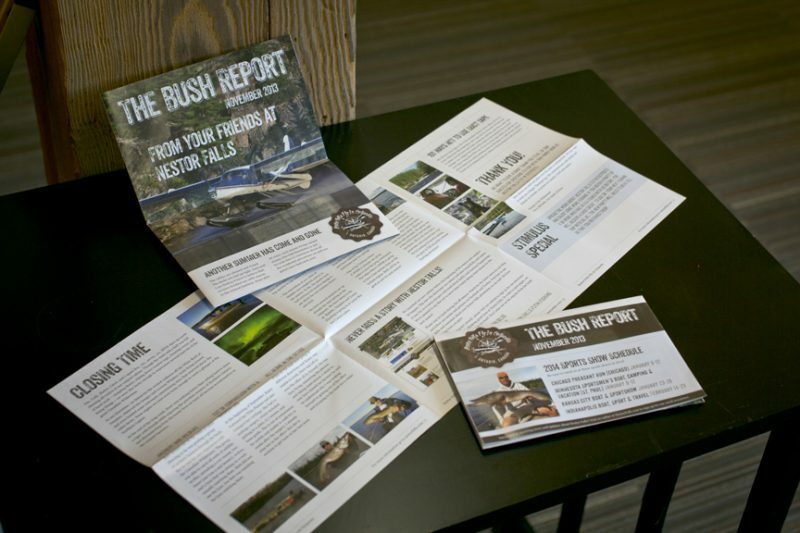 Also, email us at info@nestorfalls.com to join our mailing list so you don’t miss out on our next Bush Report. This past season brought some wonderful stories and memories. We can’t wait for next season’s adventures. We are already taking reservations for 2014. Contact us today to plan your fly-in fishing escape! P.S. Don’t forget to sign up for our Email Newsletter on our Contact page. Stay in the know about everything Nestor Falls!